If you are a licensed medical professional here in San Diego, or if you are another type of licensed professional like an attorney, you can form a corporation specifically designated for professionals under the Moscone-Knox Professional Corporation Act of 1968 (the “Act”). See Cal. Corp. Code, §§ 13400 et seq. Designated types of licensed medical professionals, such as nurses, midwives, dentists, psychologists, can be minority owners of a California medical corporation. 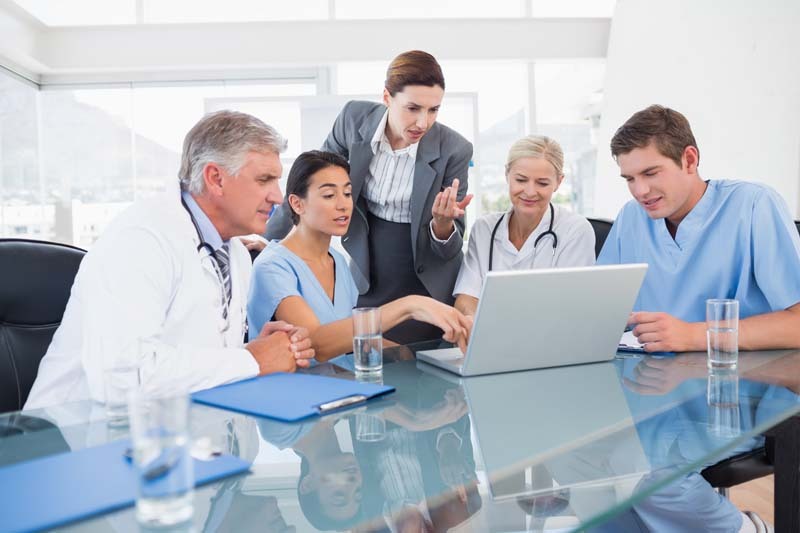 Here are a few advantages of forming a California medical corporation under the Act. If you need advice and counsel on this topic or want assistance with forming your new California medical corporation, contact San Diego Corporate Law. One of the greatest advantages of forming a California medical corporation is the protection of personal assets. Unlike general partnerships, in which the assets of each partner can be seized by creditors to pay liabilities and judgments, corporate entities provide a shield that protects personal assets. Partnerships are considered extensions of the individuals that form the partnership. By contrast, corporations are legal entities separate and apart from the individuals that own them. As such, when the corporation takes action, like signing an office space lease, legally that is not that act of the owners of the corporation, but the act of the corporation. Any lawsuit is filed against the corporation and any judgment is collected against the assets of the corporation. Under medical ethics rules, in general, physicians are not allowed to share or split fees with a non-physician. This was one reason that doctors formed medical partnerships prior to passage of the Act. Traditional corporate structures were considered impermissible because corporate investors generally receive their share of the company profits as a return on their investment. Under the ethical guidelines, that was considered to be a form a fee sharing. Because of this, a general partnership was the only true viable alternative. A California medical corporation under the Act accomplishes the same goals. This is partly accomplished by the Act’s limitations on who can be owners of a California medical corporation. Anyone can own shares in General Motors Corporation or Apple, Inc., but to be a shareholder in a physician’s California medical corporation, you have to be a licensed physician or a member of a designated profession specified in the Act. California medical corporations are formed in the traditional manner and begin as “C” corporations. However, an election can be made to convert the corporation into an “S” corporation. This allows profits and expenses to be “passed-through” to the individual federal tax returns of the various members of the corporation. The advice and counsel of a tax professional should be sought when considering the “S” corporation selection. Issues to be considered include: double taxation, distribution of profits as corporate dividends which are taxes as capital gains rather than as wage/salary income, how the election affects self-employment taxes and related issues. Another advantage of a corporate structure is continuity of existence which makes it easier to sell a California medical corporation or a part thereof. Under partnership law, when a partner leaves the partnership, legally, the partnership is considered at an end. This is not the case with corporations. When a shareholder or owner dies or sells his/her shares, the corporation continues its existence. Remember that corporations have a legal existence separate and apart from its owners. This matters for many reasons including saleability. If you sell your “share” in a partnership, technically, the partnership has to be reformed. But for a California medical corporation, there is no change in the corporate status and this makes a California medical corporation more saleable. For similar reasons, financing is often more readily available for California medical corporations. In addition, a California medical corporation can establish its own business credit rating. This also makes it easier for the corporation to obtain traditional financing and credit. For more information, contact attorney Michael Leonard, Esq., of San Diego Corporate Law. Mr. Leonard can assist with forming your California medical corporation, can draft articles of incorporation and bylaws, owners’ agreements, employment contracts and related legal documents and can help with corporate formalities and annual corporate maintenance. Mr. Leonard can be reached at (858) 483-9200 or via email. Like us on Facebook.